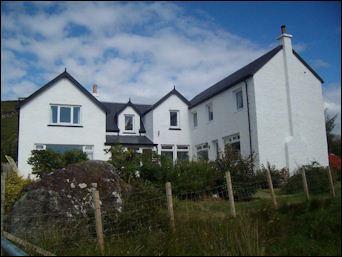 A family run bed & breakfast situated in Glasnacardoch, about a mile from Mallaig.The house is set in a secluded location with stunning views over to Rum and Eigg. 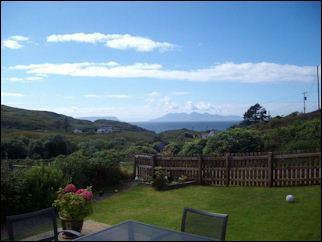 The house also marks the start of a popular walk to Loch an Nostrie and the Mallaig Circular walk. 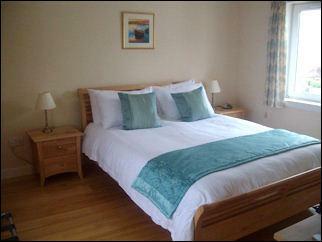 All our rooms have en-suite showers, tea & coffee making facilities and satellite television. There is a private guest sitting room with a wood burning stove where we serve breakfast in the morning. £30 to £35 per person includes a full Scottish Breakfast. Collection/drop off at railway station by arrangement.